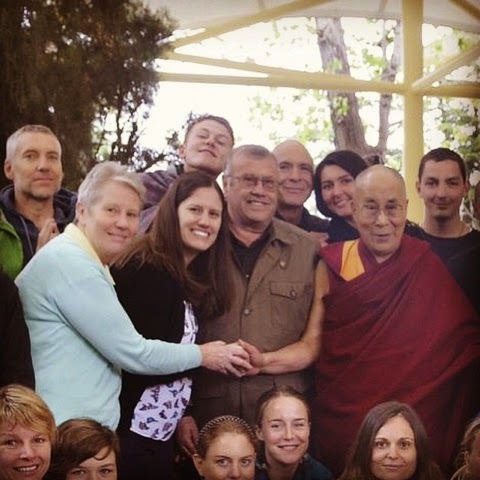 Readers of this blog will have already guessed that I don't spend too much time writing about our travels, except, I suppose, for our cruise to Australia and back earlier this year. I prefer to relate the more practical side of narrowboat ownership such as costs when things go wrong, including, as it happens, that cruise to Australia, which, although we enjoyed it, also went wrong! The year since last June has been quite traumatic as far as Kelly Louise goes, and it seems as though we have encountered one problem after another, so, again for those who think they might like to own their own narrowboat, I will detail everything that we have spent on her, and the reasons why, since this time last year. This doesn't include the obvious costs like diesel, moorings and BW license. When we opened the boat up at the end of Febuary 2011, after a hard winter lay-up. 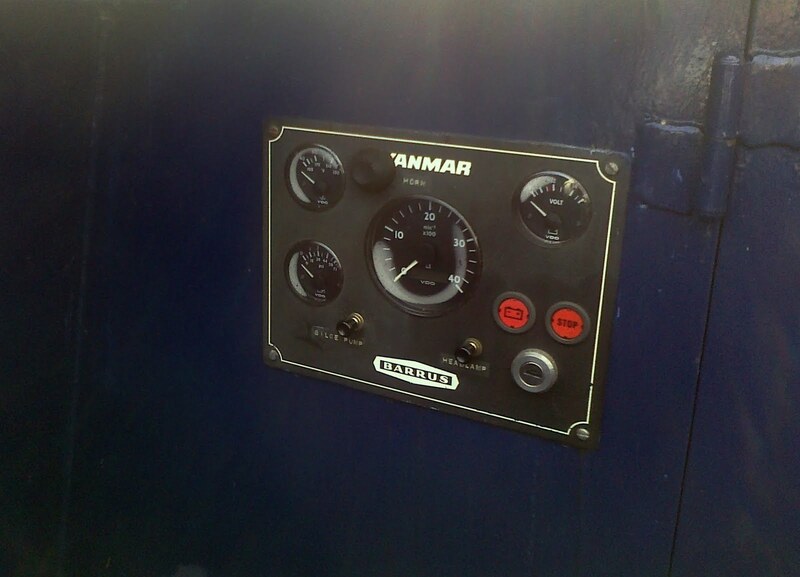 I noticed, for a second time, that the LED hour meter on the engine control panel was blank due to condensation. In my early ownership and naivety, I had employed a call-out engineer to try and rectify this, which to some extent he did, but only due to it drying out during the hours he was there attempting to fix it! I decided I would put an end this time to what is obviously a design flaw in the panel - being placed in a damp location containing electronics that won't stand being damp! 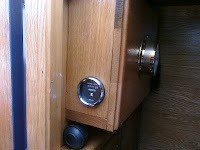 I fitted a good old fashioned analogue counter in the back cabin, to supplement the electronic one when it was U/S. Total cost £20 from Ebay. Not strictly necessary, but I like things to work. Next, as we started to use the boat again, I noticed a very small puddle of water at the bottom of the Alde gas central heating boiler. My worst fears were confirmed when I checked the header tank. We had a leak! Consulting the Alde website for authorised service agents, I asked one, (who shall now remain nameless here), if they could send a mobile engineer to assess the problem, (all of 2 miles). Their initial response was atrocious, making me wait over a month for an appointment. With hindsight, I should have ditched them there and then, but I was desperate to get the boat fixed, and they were the recommended service agents. When they did eventually get into the task of resolving the problem, I was given an estimate of around £800 to strip and fix the leaky water jacket of the Alde, or £3200 to strip the lot out, rebuild the woodwork, and fit a new Webasto thermo top C diesel heater complete with a bank of new domestic batteries, as their condition was unknown, and I knew the Webasto was more reliant on a good power supply than the Alde. I opted for the new boiler, which I am very pleased with. The battery replacement, however, is another story. Very briefly, certain aspects of the electrics didn't function when I got the boat back. The company was reluctant to return to the job, telling me it would cost me more if the problem was found to be unconnected with their job. I got so fed up with messing around with them that I employed a specialist marine electrician to attend and assess. She told me that the domestic battery wiring and the wiring to the inverter and main battery isolator switches was in a very poor, indeed dangerous condition. It had to be stripped out, re-done, and a linked fault to the Sterling PDAR fixed and then finally the domestic alternator replaced. Total cost, a further £450, a cost that I believe should not have been necessary, as everything was working A1 as I took the boat in for the new boiler and batteries. Another case of buyer beware perhaps. At least I now know that my engine bay is wired professionally. Along the way, the front cratch frame had started to rot, and the acrylic had gone opaque. A new piece of kite marked safety glass later, and this was fixed for around £30. By now our winter holiday was now on top of us, and I decided to leave the hull blacking and engine service that were both due, until we were home in April 2012. We took the boat back to our local marina for blacking. A very convenient location for us, and the job we had done there in September 2009 appeared to have stood up well. 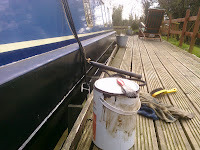 Total cost for an "out of the water", jet wash, scrape and paint was around £600, for a 57 foot boat. Another job done well there, I am not into DIY on that scale! Finally, I have just had my bill for my engine service, which was completed last week. This was an engineer who I knew, as he and his partner had once been our neighbours on our moorings. He appears to have done a brilliant job. I listed all my requirements, and he completed them without fuss, at an excellent price. He is Mark of M and L Canal Boat Services. The total cost of necessary maintenance between June last year and June this year, in addition to normal licences and insurance costs, and the replacement of the leather recliners in the saloon, has been £4,400. 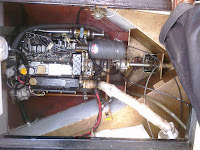 This is on a boat that was first used in September 2004, with less than 800 engine hours, and has been scrupulously maintained throughout it's life, having had only one previous owner, who was just as meticulous as me. Food for thought for potential owners? 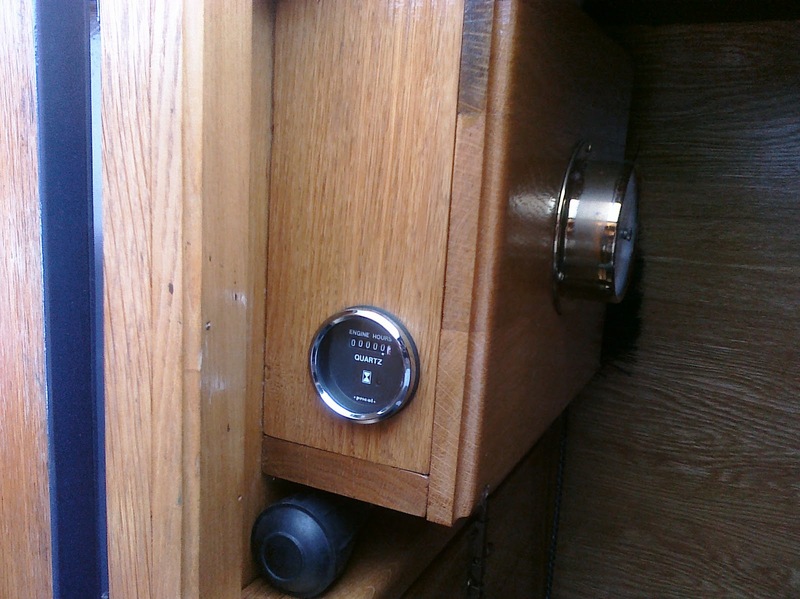 Although with hindsight, costs could have been reduced by doing some of the work myself, and probably getting more than one quote for the C/H boiler problems, you really have to be committed to own a narrowboat. Here's to a cheaper 2012 / 2013! We are now approaching the end of the second week of June, although from the current weather, you wouldn't think it. After this year's winter lay-up we have now completed the out of the water hull blacking, which we again had done at Swanley Bridge Marina. It was last done here in September 2009, and has lasted well. Being unable / unwilling to continue to get myself in / out of the engine hole, I have now arranged this year's engine bay service with Mark, of M and L Canal Boat Services for next Tuesday. Mark's partner Linda, used to be the lock keeper at Hurleston, and I know them both personally. They now own and run Cheshire Cat Narrowboat Holidays together. Finally, we decided to finish our newly smartened boat off with a pair of new recliners. 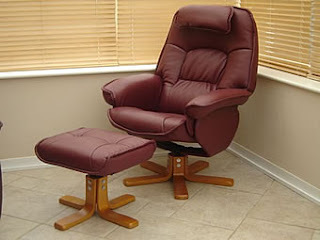 The old ones were vinyl, and the bases had gone through, so, as a result of information from Tom of nb Waiouru, who had bought his own chairs from this company, we visited Recliners Direct, who happen to have a showroom in Leyland, not 30 minutes from where we live. We have ordered a pair of genuine leather recliners, complete with matching foot stools in burgundy, from their special offers range. Total cost, £398, and delivered free of charge to the boat. Although available in black, dark brown, cream as well as burgundy, we thought it would both be a pleasant change from black, as well as being a more durable colour than cream. Hopefully, that will be the end of this year's expenses, but K-L is looking real smart! We hope the weather now bucks up for our trip away, which with current thinking, may take us down the Montgomery.